Families with donor-advised fund accounts are using them to prepare the next generation to take up the familys giving legacy, according to Fidelity Charitable. 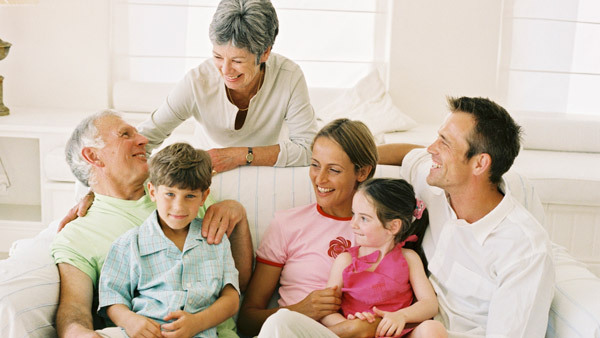 One of the biggest influences on charitable giving is family. Philanthropically inclined families with donor-advised fund accounts are using them to prepare the next generation to take up the family’s giving legacy, according to a new report from Fidelity Charitable. DAFs also help donors integrate giving into their total financial plan. Trends that emerged from the survey portended a more central role for charitable giving in families in the future. Donors under 50 were one and a half times likelier that those over 70 to strongly agree they were or had taught their children to give. Seventy-eight percent had discussed philanthropic strategies with family members at least twice a year, and 86% said their charitable choices were influenced by their family. DAF accounts have also proved a boon for many donors, helping them integrate philanthropy into their total financial portfolio and significantly changing their approach to charitable giving, Amy Danforth, president of Fidelity Charitable, said in a statement. “They use their accounts to more easily plan for both short- and long-term charitable giving and to track their progress toward their philanthropic goals,” Danforth said. The great majority of donors were actively recommending grants, while some were also using their DAFs to pursue longer-term giving strategies, an analysis of some 104,000 donors connected to nearly 64,000 Fidelity giving accounts showed. The average number of grants per account rose to eight per year in 2013 from seven in 2012, while the average grant size increased by 6% to $4,017. A majority of incoming contributions were fully expended as grants within a decade, the analysis found. For example, 91% of contributions made from 1996 through 2000 were granted to charities by the end of 2010. The survey also found that donors often took advantage of the ability to recommend grants in advance or for distribution on a recurring basis to have a consistent charitable effect for causes they supported. Donors recommended 110,000 grants on a prescheduled basis, 21% of total grants. Many charities in particular welcomed grants designated to go “where needed most” rather than to a specific purpose because of the flexibility those provided to help meet urgent needs. “Where needed most” grants accounted for 41% of grants overall, and some 50% of those to charities in the human services and environment and animals sectors and 29% of grants to religious and educational nonprofits. Finally, an analysis of grants by donor age showed that older donors recommended grants across a wider range of charitable sectors than younger donors. Donors under 50 were most likely to recommend grants to the education, human services and religion sectors. Older donors supported those sectors at similar or slightly increased frequencies, but recommend grants more frequently to charities in other sectors as well. Check out 15 Most Generous American Donors in 2013 on ThinkAdvisor.